L.A. Is My Beat: Going Somewhere for the Holidays? 1958. 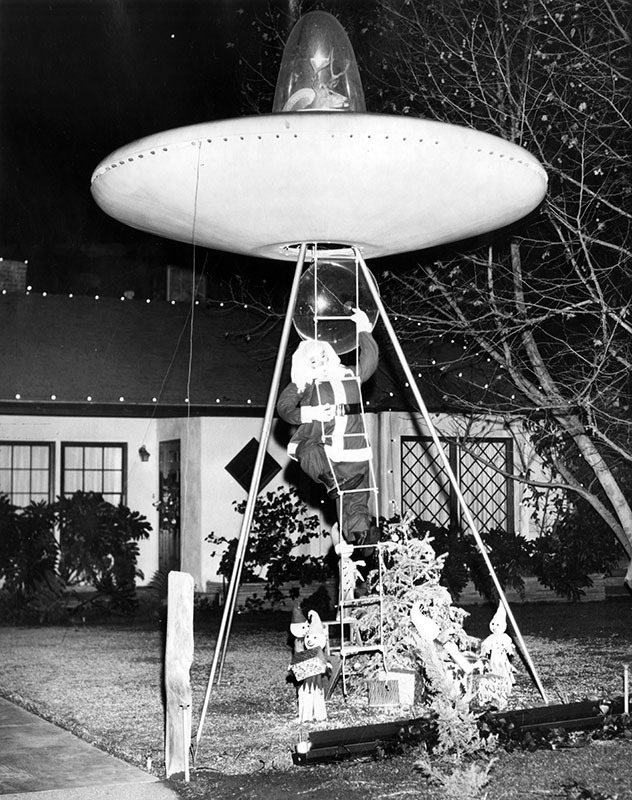 L.A. Xmas decoration. 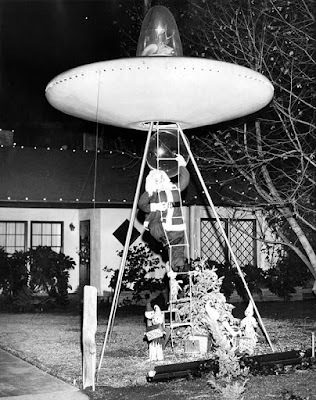 I love that Santa travels in a flying saucer! Los Angeles is getting so crowded. We all know that this is the worst city for traffic! I know, because I sit in the L.A. traffic for hours each week! Argh! How about getting away for the holidays? I was reminded of this movie by my friend, Brooke. 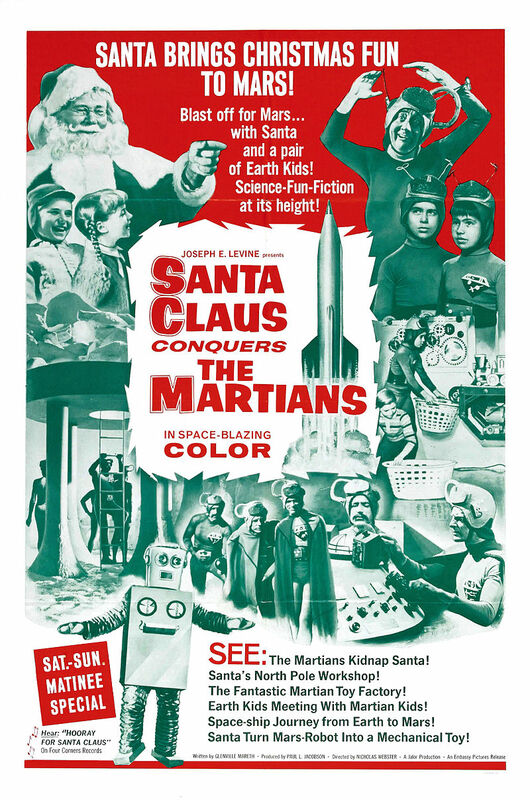 I might have seen "Santa Claus Conquers the Martians" a few times. I'm going to look into this trip. Time for peace and quiet during the holiday season. PEACE, above all is desired. 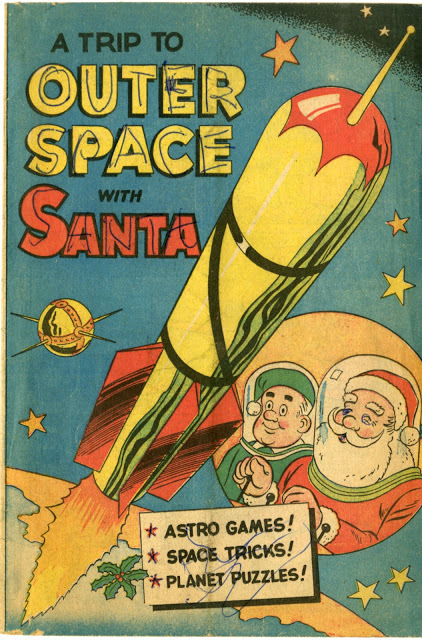 Happy Hectic Holidays, my friends.